Windsor Nissan is hosting Breakfast with Santa this Saturday December 18th at its dealership located: 590 Route 130 East Windsor, NJ 08520. The festivities will start at 9am and will continue until noon. Santa will be there the entire time & he is very excited to have his picture taken and talk with all of the kids about their holiday wishes! It is an honor that Windsor Nissan is hosting Breakfast with Santa because this is Santa’s bussiest time of the year and he has taken time out of his hectic schedule to have breakfast with all of the kids from central New Jersey! 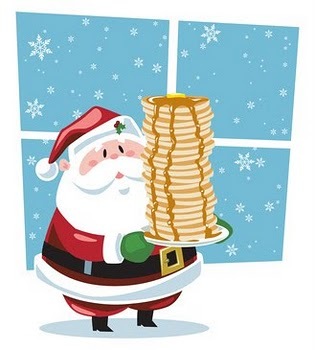 All of Santa’s favorite breakfast foods wil be served: pancakes, sausage, coffee and orange juice! You may call 800.884.0165 and RSVP with Chris! From everyone at Windsor Nissan: Have a Safe and Wonderful Holiday Season & We Hope to See You at Breakfast with Santa This Saturday, December 18th!